Our product range includes a wide range of anti scale compound, scale inhibitor and polymer antiscale dispersant. Anti Scale Compound, offered by Chemtex Speciality Limited, is regarded as a range of chemicals that have been designed to be used for the prevention of scaling in various applications such as Boiler, Reverse Osmosis and Cooling Tower. Anti Scale Compound serves as a highly effective blend of chemicals that are designed to control scaling. It is a non-toxic chemical formulation and can be used in potable water system for scale prevention in pipe work, equipments and vessels. 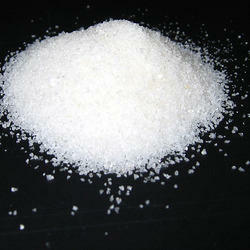 It is specially created to meet the needs of systems, containing high concentration of hardness salts. It provides superior protection to system metallurgy under a variety of conditions. Chemtex manufactured product Scale Inhibitor is effective in preventing mineral deposits caused by compounds such as calcium sulfate, calcium carbonate, barium sulfate, strontium sulfate, iron oxide and iron sulfide. Chemtex formulates different types of scale inhibitors including phosphonate based and polymer based. Phosphonate based scale inhibitors are effective at preventing carbonate and sulfate scale deposits whereas polymer based scale inhibitors are effective for carbonate or sulfate scales of calcium, barium and strontium. 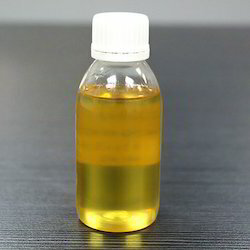 Chemical treatment with scale inhibitor is used to reduce the concentration of scale forming compounds that can accumulate in production wells, water and disposal wells, flowlines and surface equipment. CHEMTEX'S Polymer Antiscale Dispersant removes the silt deposits from the fins, louvers and pipelines during normal servicing. It is a polymer and surfactant based product which breaks the clay deposits and remove them with blow down water. 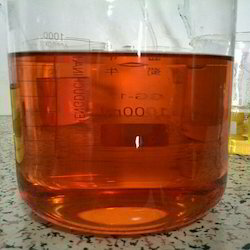 It is a neutral pH product and does not cause any corrosion to the system metal during use. It can be dosed manually to the cooling tower sump on a daily basis or can be dosed continuously with a dosing pump. It works using a combination of chelation, crystal modification and the threshold effect, and is effective against a wide range of scalants including calcium and magnesium hardness, iron oxide and silica. It works by converting the scaling material into a light mobile floc that can be blown down easily. It will gradually re-disperse old deposits used as part of a maintenance program.